1. I'm a big fan of the beautiful online store, The Future Kept. This little bag would be ideal for carrying vegetables and plants home from the markets or just lugging around all the crap I have with me on a daily basis. My favourite is the khaki colour. 3. I spied this dream little swan over on the lovely instagram of Emily Chambers of Caravan Style (her old shop on Redchurch Street in Shoreditch was one of my favourite shops). I never knew I needed a swan butter dish. I don't even eat butter. But look at this glorious ceramic swan from Anthropologie. I need it. 4. I always scope out junk shops and antique fairs for old etched glasses and have about a million of them on my eBay watch list. These beauties are actually new but look old and would be just perfect for sipping all champagne (ok, prosecco) I plan on swilling when we eventually buy a house. Find these on Rockett St George and in store at the Rockett St George concession at Liberty. I have my eye on the star pattern. 5. As an devoted dress wearer, thick black tights are part of my everyday wardrobe during the cooler months. I tried not to buy any last year, as I'd built up quite the collection of 200/100 denier. Sadly, many of my pairs are starting to look a bit shabby this autumn so I'm going to invest in a few quality pairs from Swedish stockings, eco-friendly pantyhose (ugh, such a horrid word) made in zero-waste eco-friendly factories. Because just what to do you with old tights? The current hosiery industry is terrible for the environment and nearly 3 billion pairs get thrown into landfills each year, never to biodegrade. Yuck. 6. Yes, more black floral embroidery but #ihavethisthingwithembroidery. 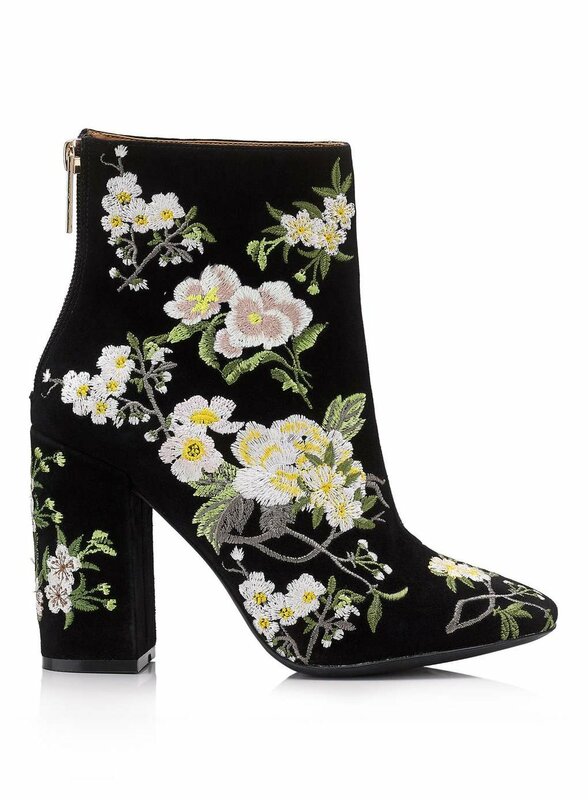 Another day, another dream boot. Yes these are fast fashion but my just look at them would you!? Sadly, they seem to be sold out everywhere in my size but I do LOOOVE them.